As part of an effort to improve emergency medical care, the Ministry of Health and the University of Health Sciences in Vientiane, in cooperation with the NGO Health Frontiers, launched the Lao Emergency Medicine Residency program. The first class of 8 residents started their 3-year training in September 2017 with the second class of 9 residents starting in September 2018. Violence against EMS workers is a growing problem. The Cape Peninsula University of Technology’s (CPUT) Department of Emergency Medical Sciences got together with the National Department of Health and Western Cape Government (WCG) to discuss solutions. Here is the position paper that resulted from that meeting. Healthcare systems resemble microclimates, with a unique set of functions, resources, patients, vulnerabilities, and strengths. There is, however, a template for ED design that can account for these many variables, and guide all the stakeholders through the process of building an effective and efficient ED. In the Kurdistan Region of northern Iraq, at the Azadi Teaching Hospital, in Duhok, a native son of the region established a successful international collaboration to teach surgery and transplant medicine in a region still climbing out from under decades of political oppression. 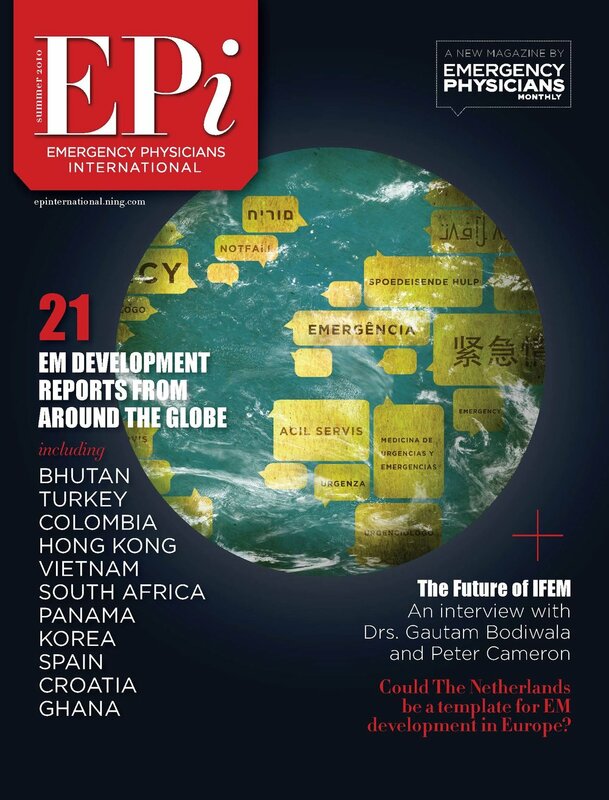 EPI’s new editor Laura Plaster writes on the need for global emergency physicians to get real about their lives in the field. A novel heart rate variability (HRV) tool for predicting major adverse cardiac events (MACE) in chest pain patients.